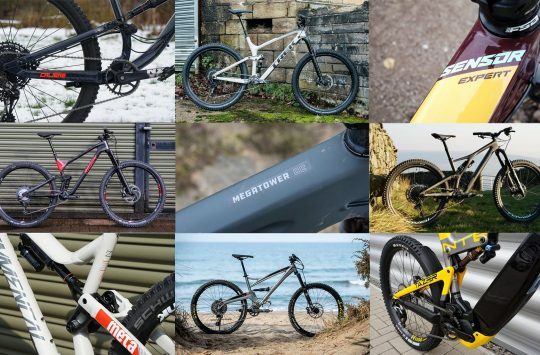 When it comes to gears and brakes, it’s easy to be seduced by the latest, shiny, must-have innovation that high-end groupsets such as Shimano XTR and SRAM XX1 offer. 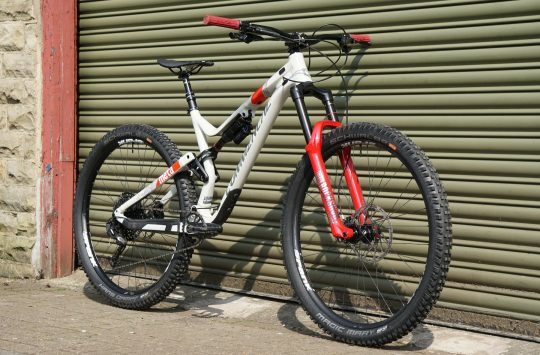 Deore might not be Shimano’s flagship marque, but it’s still rather good. Eleven speed drivetrains, cassettes with a bigger ring than on the front of my triple chainset, electronic shifting; these all conspire to give the impression that lower-end groupsets such as Shimano Deore are a bit of a downgrade option. Fortunately, for the discerning regular rider who places a value on function and cost over bling, Shimano’s latest Deore offering goes a long way towards dispelling the notion that expensive always means better. From the outset, I will hold my hands up and admit this isn’t a normal drivetrain test. Adopting a mix and match approach to components, the press-fit bottom bracket on my test bike meant that I had to stick with a SRAM crank as opposed to a Deore one. I also had to retain my 2×10 SRAM X7 direct-mount front mech, as my Deore band-on mech wouldn’t fit the frame. So for the chain rings, with a little persuasion from a file, I fitted a set of Deore 9-speed steel rings (yes, that’s right, 9-speed rings on a 10-speed set up! Will someone not think of the children?) in a 22/36T set up with a 10-speed XT chain. At the rear, shifting duties were handled by a long cage, clutch-style 10-speed Deore mech mated to a set of Deore shift levers. Braking duties were taken care of by Deore hydraulic brakes. So far, so Heath Robinson, in a fiscally prudent manner that would make a Yorkshireman proud. But does this freakish Frankenstein set up actually work? If you believe the hype, the answer should be no. The truth is altogether different. As I’ve come to expect from Shimano over the years, the rear shifting is quiet and solid. 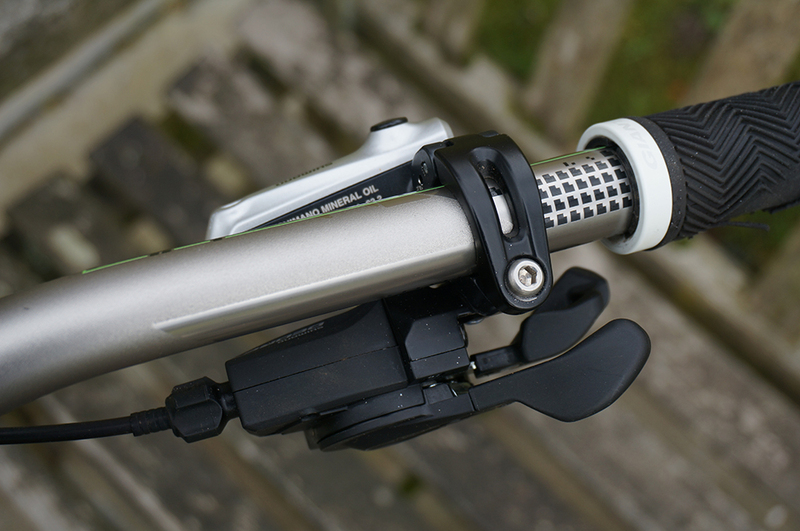 The dual release shifters, despite their slight plastic feel, work with a solid but light action. While they may not have the butter-smooth feel of XTR, in practice changes are just as quick and reliable as their more expensive brethren. Despite the fitting of the clutch mechanism, I’ve not felt any great need to use it as the shifting works so well without it and I’ve yet to experience any chain off incidents on lumpy downhills. Whether the rear mech will last as long as the old Deore DX short cage mech I have in a cupboard is a moot point but so far, so good. Of particular note is Shimano’s use of bushing style jockey wheels. I’ve lost track of the number of bearing-based jockey wheels that I’ve managed to wear out or seize up over the years, so chapeau to Shimano for using tried and trusted technology that’s cheaper and more reliable than the competition. Up front, mating the Deore triple shifter with the SRAM double front mech has given me no issues at all. Shifting is as good as it was with the dedicated SRAM shifter that was on previously with the added bonus of the Deore having the dual release function. Click if you want to go faster. The front chain rings, despite being steel and 9-speed, have worked flawlessly and there are no visible signs of wear after several months of use. The inner ring had already seen some use before being fitted, yet shifting has been smooth and quiet. Re-fitting a pre-used ring is not something I would ever consider doing with an alloy version but being steel, I’ve experienced no problems with the drivetrain being no noisier than the complete SRAM set up it replaced. Shimano chains have reputation in some circles of not being as reliable as the competition but despite my mix and match componentry approach, I have so far failed to snap the chain and would happily fit one again in the future. 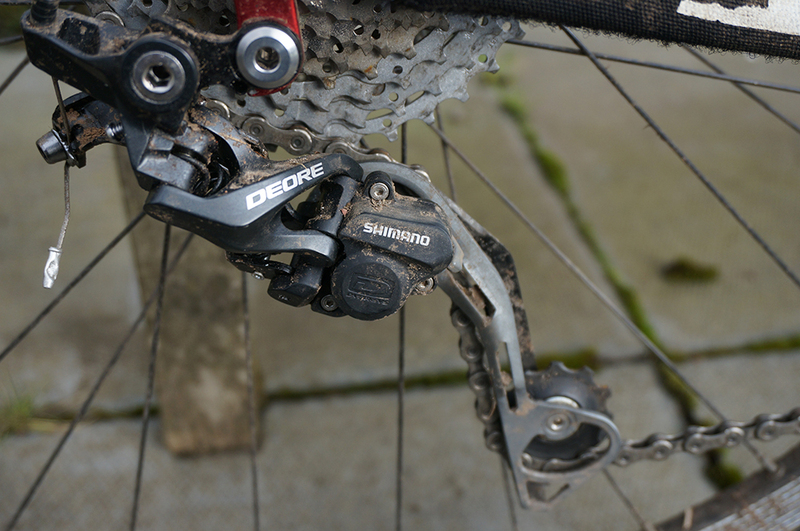 As good as the Deore drivetrain is, the hydraulic brakes have been the real eye opener in my book. 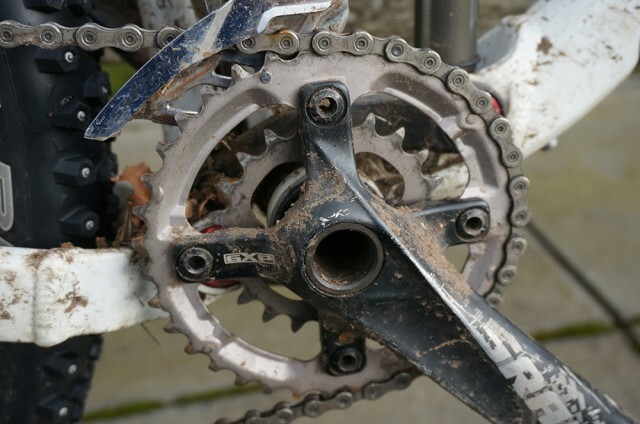 Shimano has adapted the technology pioneered with XTR and applied it to a much lower price point. Though you can’t adjust bite point without resorting to tools, and there’s a split pin instead of a threaded bolt holding in the disc pads – which means that changing pads mid ride needs a small set of pliers – functionally, I have struggled to tell the difference between the Deore and a set of XTR Trails that I have fitted to another bike. This, right here, is trickledown in action. In terms of absolute braking power and the ability to one-finger brake with ease, they are on a par. If you need to stop on a dime, you can, while modulation and feel at the lever are both excellent. To be blunt, the Deore brakes just work really, really well. They have stopped me consistently throughout the duration of the test with no discernible loss of power or fade on long descents. Having used them extensively, I would now struggle to fit anything more expensive. They really are that good. If there is anything that I have learned from this test, it’s this. You can mix and match components from different manufacturers with relative ease and no small degree of success. 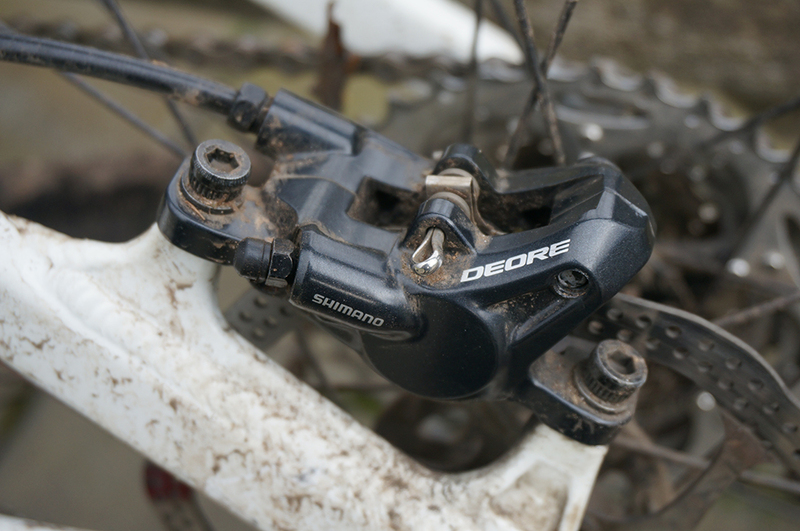 However, the big take home is that Shimano’s Deore is probably the best kept secret in its product range. For the money (in fact, even a lot more money), you would be hard pushed to find a better groupset for the performance it offers. 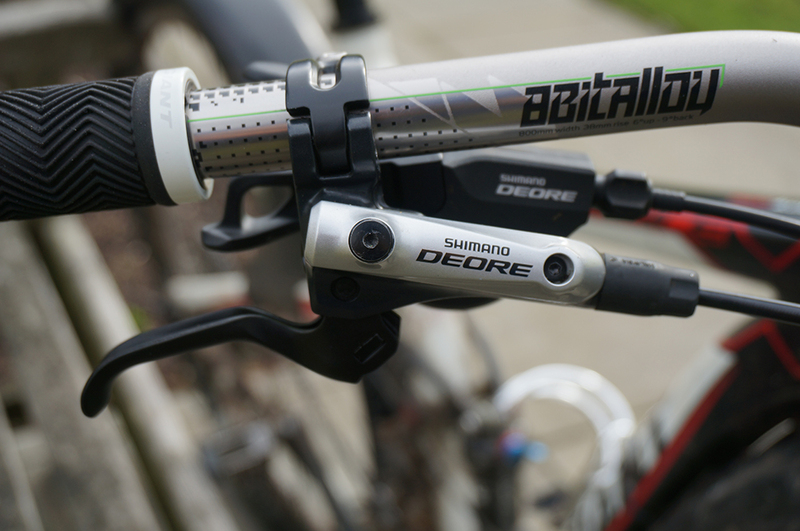 Next time you are considering a bike with the latest bling, have a look for the Deore option. It may just surprise you. 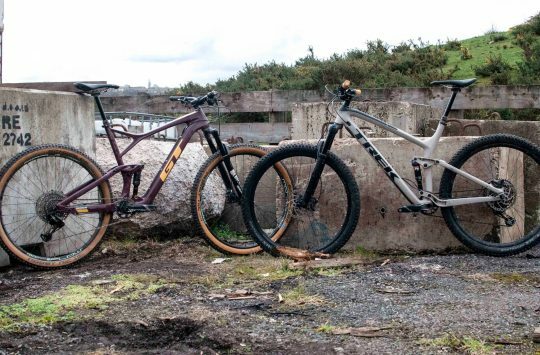 I’m a big fan of deore as money saved can then go on a good set of wheels. Also weight penalty over slx or xt is small overall.